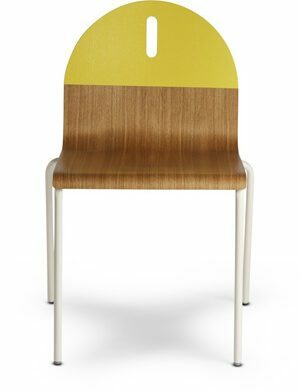 Slices of powder-coated steel team with solid walnut to achieve eye-catching results. Available in three sizes. Powder-coated steel top. Solid walnut or painted walnut legs.